If Stenhousemuir wanted to keep pressure on Stranraer at the bottom of the table then they really needed to get something out of this game. The fact that Stranraer were comfortable winners albeit given a helping hand by a poor Stenhousemuir side meant that tensions were exacerbated during the game. The Warriors made several changes for this game. David Crawford wasn’t fit after picking up an injury the previous week but his replacement Graham Bowman starting his first senior game for over a year did well in goals and kept the score down. Mason Robertson moved to central defence for the suspended David Marsh and his performance with Bowman’s were the only real positives to take from the game. With Vinnie Berry unavailable Ross Meechan moved to midfield and Ally Roy started up front instead of Robertson. Whether it was a case of too many changes or a lack of confidence on the back of four straight defeats inhibiting the play it is fair to say the Warriors never got into the game. Despite the home side being on top it took a while to create their first chance when Ryan Thomson’s diving header was saved by Bowman in the 18th minute. There was a major let off five minutes later when a floated free kick by Willie Gibson picked out on loan Livingston player Morgyn Neill at the back post but he totally fluffed his kick and the chance disappeared. A swift counter by Stranraer saw Craig Malcolm on his own but a quick recovery by Ciaran Summers blocked his effort and Bowman was grateful to gather. More chances fell to David Wilson and Scott Agnew but Bowman was to save both efforts. He was eventually beaten in the 37th minute when Jamie McCormack lost control after getting into trouble in his own box, the ball fell to Fraser Kerr who hit a wild clearance straight to Agnew and he seized the opportunity to fire home. Stenhousemuir were awarded their first corner in the 54th minute but it was over hit and the danger was averted. Two minutes later Stranraer scored their second and once again Stenhousemuir didn’t cover themselves in glory. A Gibson free was knocked forward by Malcolm and scrambled off the line but Thomson was on hand to bundle the ball over the line. Things got worse for the visitors just after the hour when they were reduced in numbers after Jamie McCormack picked up two bookings in the space of three minutes. The latter was soft but nevertheless it was folly to make the tackle in a less than dangerous area of the pitch. 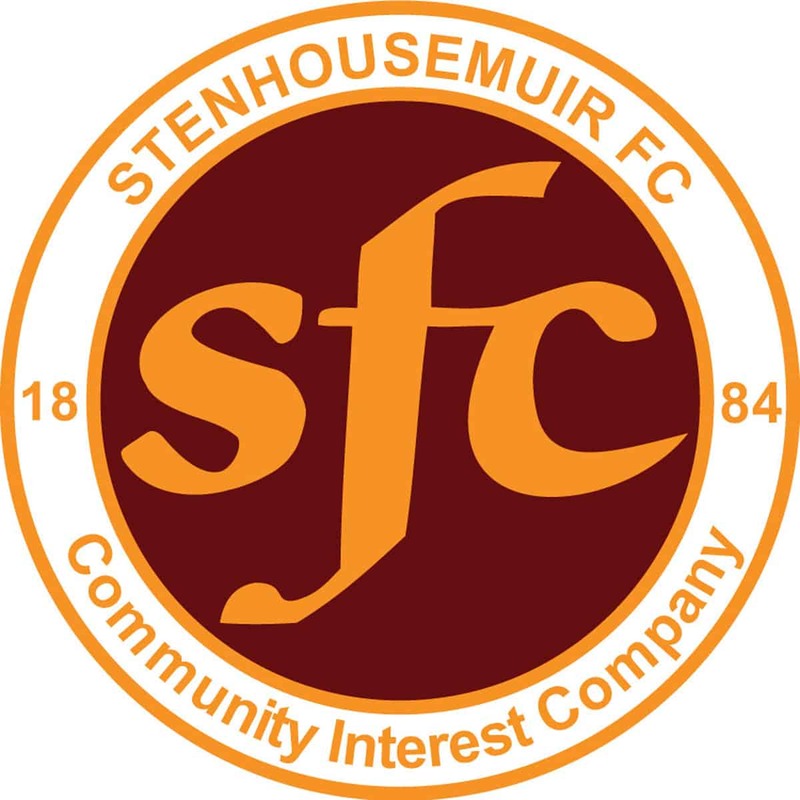 Both teams made changes as the game progressed and although Stenhousemuir tried to be more positive the only time Stranraer were threatened was from a Oli Shaw effort that went over. Stranraer on the other hand scored their third goal through sub Amadou Kassarate who scored with an overhead kick after Stenhousemuir once more failed to clear their lines. Whether Kassarate should have been on the park to score was a moot point though as he could easily have been booked for simulation a minute previous and he had already been cautioned for a rash tackle. All in all a poor result and a poor performance with Stranraer picking up most of the plaudits for their deserved win.